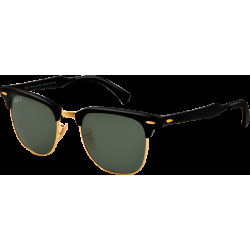 Both retro and timeless, the Ray-Ban RB3016 Clubmaster is yet another premium product from the Ray-Ban house and as fashionable today as it was when it was the eyewear of choice of counter-culture intellectuals and civil rights leaders. The stainless steel piece at the bridge and around the lenses offers the Ray-Ban RB3016 Clubmaster a style that is true understated elegance. 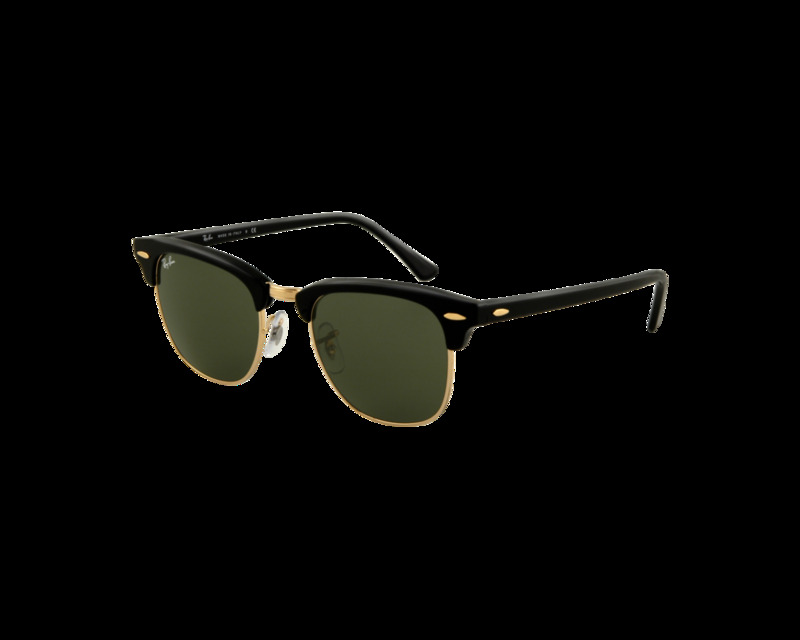 The Ray-Ban RB3016 Clubmaster is yet another premium product from the Ray-Ban house. These sunglasses are a journey back in time. It is a design and style that has withstood the test of time. This model of sunglasses has bridged the gap across time. 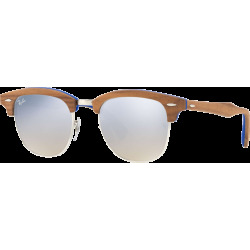 An extremely simple yet trendy pair of sunglasses the Ray-Ban Clubmaster RB3016 has a distinct style that puts it well above the rest. It is ideal for the generation that grew up with its classic curved lines as well as young whipper snappers who are discovering the iconic shape for the first time. 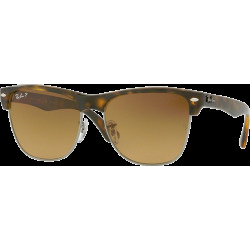 The Ray-Ban RB3016 Clubmaster sunglasses have a plastic lining above the lenses. The stainless steel piece at the bridge and around the lenses offers it a style that is true understated elegance. With 100% UV protection, you can now go about doing all that you wanted to and not worry at all about the sun. They are packaged in a hard case along with a soft lens cleaning cloth. It is a good fit and offers absolute comfort, convenience and style. You would just love the Ray-Ban feel. This model of sunglasses has bridged the gap across time. An extremely simple yet trendy pair of sunglasses the Ray-Ban RB3016 Clubmaster has a distinct style that is journey back in time. Ray-Ban Sunglasses mean quality, style and exceptional value. The classic shapes of Ray-Ban sunglasses are the latest trends. Generations of Ray-Ban sunglass wearers will be forever cool. Nothing looks as good, or works as good as a Ray-Ban.